Even a minor car accident is frightening and unnerving, making it hard to focus on the next step you should take. Remember, following a car accident, you should always get a medical examination even if you don’t seem to have any injuries. 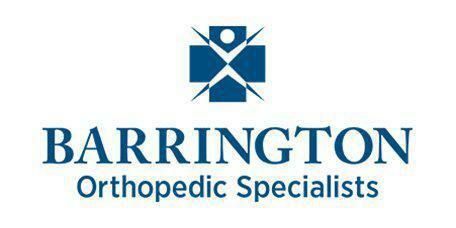 The physicians at Barrington Orthopedic Specialists are available to help, finding any physical problems and treating them, so you don’t have symptoms down the road. Please don’t wait to schedule an appointment: call one of their offices in Schaumburg, Bartlett, Elk Grove Village, or Buffalo Grove, Illinois. When should you get a medical exam following a motor vehicle collision? You and any passengers in the car should get a medical checkup immediately following a car accident. Even if you feel fine, a medical exam is important to be sure you don’t have a concussion, whiplash, or another injury. The symptoms of some injuries may not appear right away. Getting a prompt exam allows your doctor to identify potential problems and start treatment before the condition worsens or complications develop. A medical exam is also essential for obtaining the documentation you’ll need if you file an insurance claim for medical expenses. If you wait to see a doctor, you’ll have a gap in medical care, which means you may not be able to prove that the accident caused your health problems. The doctors at Barrington Orthopedic Specialists can perform an independent medical examination that gives you an objective and accurate medical documentation of your injury. Car accidents are one of the top causes of whiplash injury, which occurs when a sudden force makes your neck rapidly snap back and forth. As the flexion-extension movement makes your neck move beyond its normal range of motion, muscles are strained, and ligaments are sprained. In severe cases, whiplash may injure bones and discs in your spine. Which other injuries are common in a motor vehicle collision? No matter what part of your body is damaged, the team at Barrington Orthopedic Specialists are available to help with an immediate diagnosis and customized treatment to prevent chronic problems and relieve your symptoms. Call to get the medical care you need following a motor vehicle collision.